A new Hallowe’en event has hit Harry Potter: Hogwarts Mystery that will bring a sinister twist to the storyline, say devs. On the heels of a festive Hagrid’s Birthday celebration event, Harry Potter Hogwarts Mystery gets in touch with its spooky side in a series of month-long Halloween-themed game events. During the month of October, players will not only enjoy seeing Hogwarts decked out in all its Halloween finery, but they’ll also participate in special side quests, duels and more. But the event won't be all fun and games as the devs have revealed the story is set to take a sinister turn. Below we’ve put together a rundown of everything you can expect from the game in the upcoming month. Hogwarts Mystery kicked off the holiday season with a festive flair as players at the start of the month saw Hogwarts adorned in pumpkins and other spooky decor. During the month, all the students, staff and resident ghosts of Hogwarts will be working together to prepare for one of the biggest events of the year — the Hallowe’en Feast. Over the weekend players were introduced to the “Fresh Off The Vine” challenge that allowed them to earn coins, clothing and other prizes for completing classes or helping Dumbledore prepare for the upcoming feast. 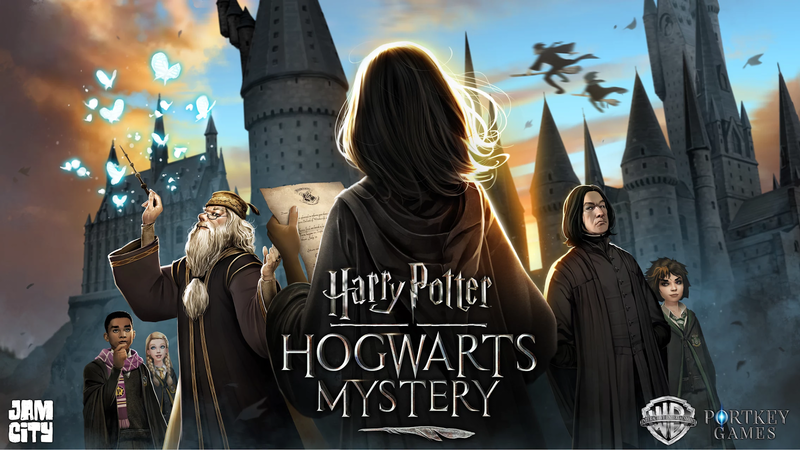 But things are set to take a sinister turn, say Jam City devs, as near the middle of the month players should prepare to see the “darker” side of the Hogwarts unfold. Throughout October, players will participate in side quests that will take them deeper into the investigation of their brother’s disappearance and will unlock greater knowledge of the Cursed Vaults. Players will also put their defensive skills to the test in a special Duelling Club event that will include using Melefors Jinx to temporarily change their opponents’ heads into pumpkins. For players in Year Three, the presence of Dark Arts will be discovered as they face the treacherous Boggarts, meanwhile, players in year four will explore the perils of the Forbidden Forest. There’s plenty of fun to be had this month in Hogwarts Mystery as the school prepares for its annual feast so be sure to jump in an discover all there is to see and do. What’s Ahead For Harry Potter: Hogwarts Mystery Year 4?